No matter what your experience in Istanbul, whether it ranges from ancient sightseeing by day to futuristic clubbing by night, it is hard to spend a moment in this place without being enchanted by the history. With a little help with our friends at the Kusadasi Tourism Board, we have compiled some little tidbits that you probably won’t be able to get out of your mind once you finally make it here. 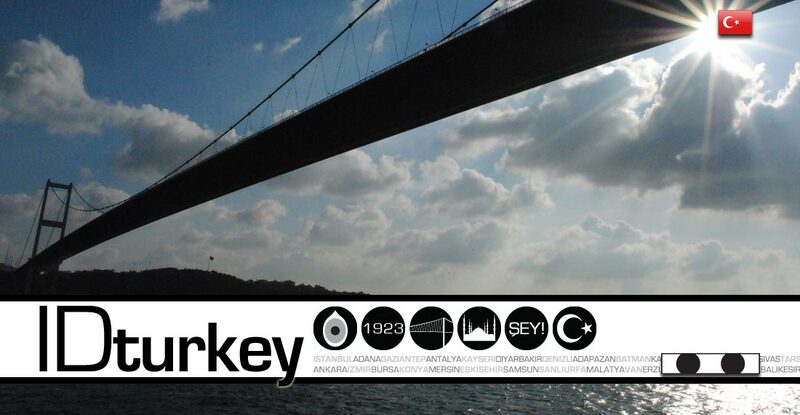 Istanbul is the only city in the world that spans two continents. Forget Washington D.C. or Brussels. Istanbul has been the capital of three of the world’s great empires: Roman, Byzantine, and Ottoman (the latter for more than 2000 years). Turkey houses the world’s oldest known human settlement in Catalhoyuk, which dates back to 7500 BC. More than 150 archaeological excavations are conducted in Turkey—every year. Anatolia is the birthplace of St. Paul the Apostle, Herodotus (known as the father of history), King Midas and Omar the Poet. Furthermore, the names Paris, Philadelphia and Europe came from here. It also began producing wine more than 6000 years ago, and hosted the world’s first known beauty contest, judged by Paris, with Aphrodite, Hera and Athena going up against each other. Two of the seven wonders of the ancient world are here: The Mausoleum at Halicarnassus and the Temple of Artemis. This is wear the Trojan Wars took place, in western Turkey. Yes, those Trojan wars. The first church built by man is St. Peter’s Church in Antioch. St. John, St. Nicholas, St. Paul and St. Peter all spent a time living in Southern Anatolia. The term “Veni, Vidi, Vici” (“I came, I saw, I conquered) was made famous by Julius Caesar here, when he defeated a strong kingdom along the Black Sea called Pontus. Despite Turkey not being a highly Christian nation, St. Nicholas, who became Father Christmas, was born in Demre along the Mediterranean Coast. Noah’s Ark landed here, on Mount Ararat (Agri Dagi) in Eastern Turkey. Aesop, yes, the one from Aesop’s Fables, was born in Anatolia. Legend has it that Turkey’s southwestern shore was a wedding gift that Mark Anthony gave to Cleopatra. The Virgin Mary’s last home was in Selcuk, near Ephesus. Homer, of the Iliad and the Odyssey, was born in Izmir along Turkey’s West Coast. Troy is depicted in his epic, the Iliad. Leonardo da Vinci designed a bridge over the Bosphorus, connecting Asia and Europe, which was never built. Alexander the Great conquered a large part of what is now Turkey, and cut the Gordion Knot in the Phrygian capital (Gordium) near present-day Ankara. Suleyman the Magnificent, who would become known as the famous Ottoman Sultan, wrote over 3000 often politically charged poems here.